Much to my surprise it seems to have turned into short story week here. Unusually for me, I came to Amy Bloom’s writing through her short fiction. It was back in the ’90s and I was a bookseller at the time. When I was shown her first volume a great deal was made of her work as a psychotherapist which intrigued me. 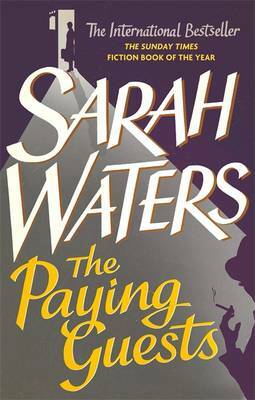 I read all three collections when they were published and was delighted by her writing, even more so when her novels appeared, one of which – Lucky Us – I’ve reviewed on this blog. 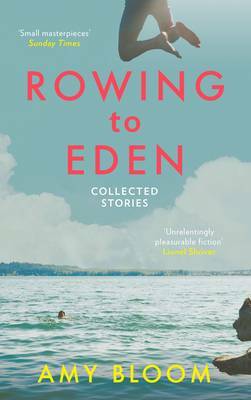 Rowing to Eden is a complete collection of her short stories and when I opened it I realised I’d read the lot but with writing as good as Bloom’s, who cares? It’s more than worth a second visit. For readers who already know her work this collection comprises stories first published in Come to Me, A Blind Man Can See How Much I Love You and Where the God of Love Hangs Out. There are twenty-nine in all, some subject to a little editorial re-ordering from the sequence in which they first appeared. A small selection will give readers unfamiliar with these beautifully crafted little gems a flavour of what to expect. In ‘Love is Not a Pie’ a woman decides to break off her impending marriage when listening to her mother’s eulogy, realising that her fiancé could never live up to her mother’s generous interpretation of love. ‘Light Breaks Where No Sun Shines’ sees a young voluptuous girl, subject to neglect and criticism from her mother, model furs while naked for an elderly man. In ‘Semper Fidelis’ a young woman waits for her sick, elderly, still beloved husband to die, sharing her sexual fantasies with him. ‘Psychoanalysis Changed My Life’ has an ageing analyst give her patient advice about her appearance rather than listening to yet another recitation of dreams, perhaps with an ulterior motive in mind. Grief changes the relationship between a mother and her stepson irrevocably in the linked ‘Lionel and Julia’ sequence. Bloom’s stories are about the things that make us human – love, desire, family, ageing, grief and identity – all explored throughout this collection with admirable acuity. Bloom’s supreme skill lies in her ability to portray human foibles and traits with a clear-eyed empathy. The many grey areas of desire are laid bare. Love and its sometimes unorthodox forms is a frequent theme. Bloom cleverly confounds expectations, in one instance turning what could have become a tale of obsession into the start of something that might become love. Her writing is beautifully nuanced, the unsaid often conveying as much as what appears on the page, sometimes more. All this – subtlety, insight and an occasionally acerbic humour – is wrapped up in polished prose which slips seamlessly from one point of view to another. Three sets of these stories are closely interlinked, offering more for those of us who like our fiction longer to get our teeth into but perhaps that is to underrate Bloom’s standalone work: these are short stories for novel readers – each one complete unto itself. This entry was posted in Reviews and tagged American fiction, Amy Bloom, Come to Me, Even a Blind Man Can See How Much I Love You, Granta Books, Lucky Us, Rowing to Eden, Short Stories, Where the God of Love Hangs Out on 21 August 2015 by Susan Osborne. Unusually for me, I came to Amy Bloom’s writing through her short stories. Her first collection, Come to Me, was published when I was still a bookseller and I was interested by Bloom’s background as a psychotherapist, made much of when I was pitched the book. I think she was still practising then. 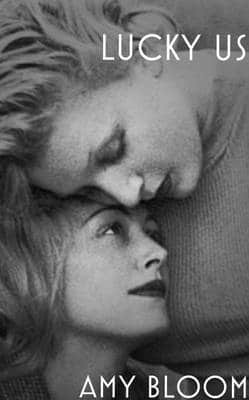 It seemed to me after reading her stories that she must be a very fine therapist indeed: they were quietly empathetic, understanding of human weakness. 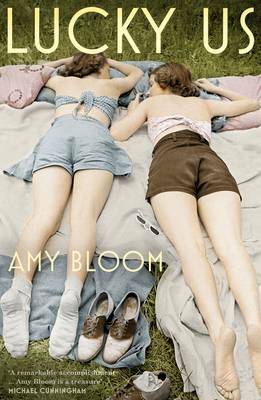 From her biographical notes it looks as if Bloom has long since given up her practice and is writing full-time but Lucky Us has that same empathetic quality which makes flawed characters so attractive, and there are many in this novel, often pretending to be someone completely different from the person they are. It opens strikingly with Eva, delivered to her father’s door and left there with only a small suitcase to show for her twelve years with her mother. Edgar’s wife has died leaving him with Iris, Eva’s sixteen-year-old half-sister and Eva’s mother has spotted an opportunity. Tangled relationships, already, and we’re not even through the first chapter – there will be many more to come. Stretching over a decade from 1939, Lucky Us follows Eva from her unceremonious arrival following her eccentric route through all kinds of permutations of family which takes her to Hollywood with Iris then east across the country into the welcoming, generous arms of the Torellis, before tragedy propels her into life as a fortune-teller easing the sorrows of New York ladies, then eventually to an entirely satisfactory if surprising resolution. It’s a thoroughly enjoyable ride – from descriptions of decadent Hollywood parties to stories of life in a German displaced persons camp, Bloom’s writing is vibrant and her characterisation astute. She knows how to turn a stylish phrase but it’s not showy stuff, and all the better for that. The daughter of ‘a mother who dropped [her] off like a bag of dirty laundry’ and a father ‘ who was not above stealing from [her]’, Eva is quietly smart, mature and capable under the most difficult of circumstances while Iris, seemingly steely in her determination to be a star, finds herself derailed by passion, behaving in an unforgivable fashion. Poignancy is laced with a pleasingly sly humour and after a little awkwardness with its structure – at least for me – it flows beautifully. 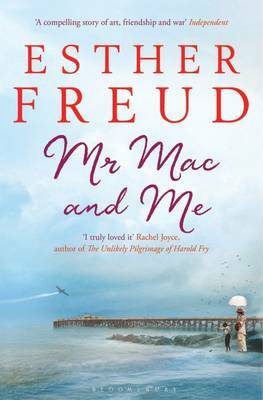 A long way from psychotherapy then – although there’s a nice moment when Eva neatly turns her fortune-telling into an effective bit of therapy – but just as humane and empathetic as her early work. And that’s it for me for a week or so. I’m off to the land of cream teas and alpacas for a spot of walking and no doubt some reading. This entry was posted in Reviews and tagged 1940s, American fiction, Amy Bloom Grant Books, Lucky Us on 12 September 2014 by Susan Osborne.